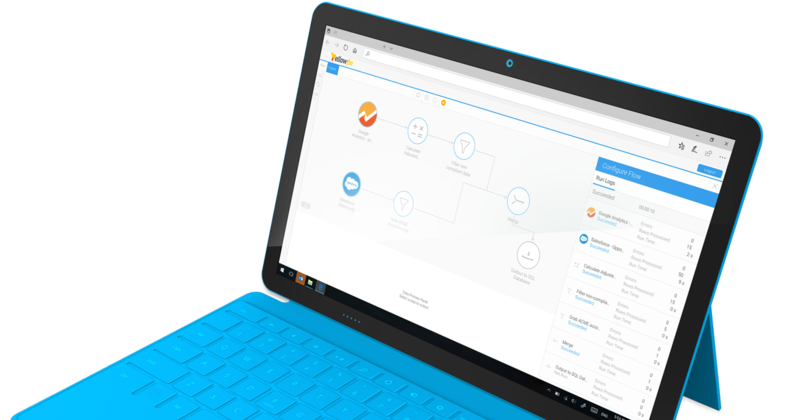 The data transformation capabilities within Yellowfin allow you to do the most common transformation tasks, as well as hook into web connectors like Salesforce and Google Analytics. 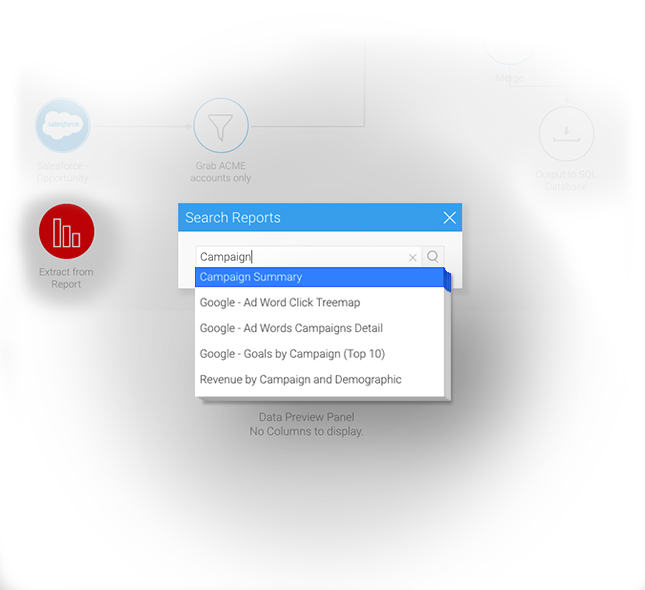 The module helps you clean, blend, enrich, and now transform your data. This means you can get to your insights faster and more cost-effectively because your transformation tool is completely integrated with your analytics platform. 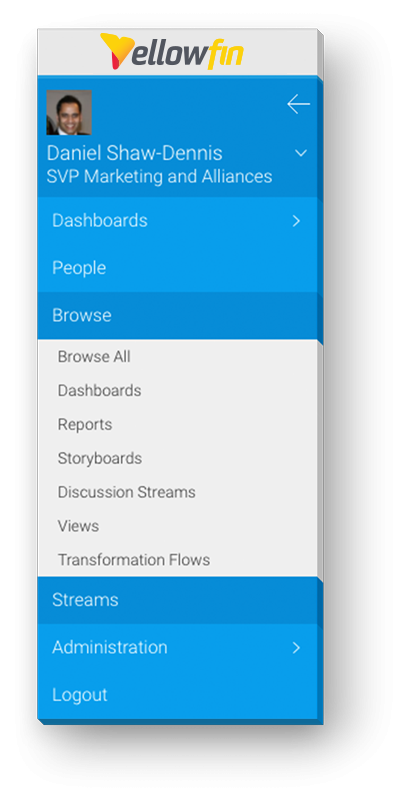 Creating data transformation paths just got visual, so you don’t have to learn scripts. 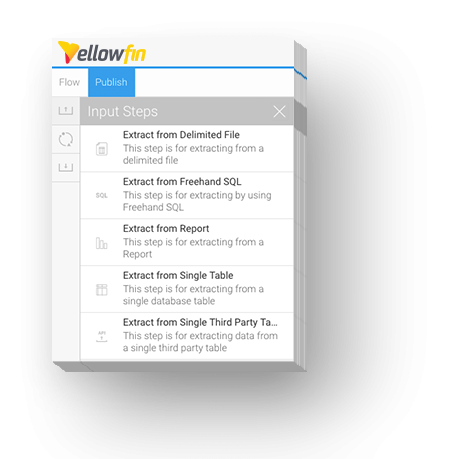 With Yellowfin’s integrated drag-and-drop GUI interface, your team can create data transformation flows within Yellowfin. Tables, flat files, free hand SQL – there are multiple data sources available to drive your transformations. As well as web connectors to popular web-based tools such as Google Analytics, Sales Force and much more. Leverage the the existing business rules and complex logic already built into your reporting by using existing Yellowfin reports as inputs in your transformations. In addition to providing standard transformation steps, such as aggregating, calculation, and merging, Yellowfin enables transformation widgets to tap into popular data science models such as PMML, PFA, and H20.ai - as well as geocoding, on the fly. The transformed data can be viewed in real time with color coding across data sources for easy identification. As well as complete error detection across your flows. Yellowfin’s data transformation module is completely integrated within our platform. This means it will work with all our existing security features, so your data steward can deliver more trustworthy data faster.